This is the wheelchair we was able to provide Sarah in June 2018. October 2018, Sarah is wearing a smile every day after being able to attend school. Before we met Sarah, she was unable to attend school at all due to her disability and the wheelchair she had was not suitable for travelling to and from school. The School was unable to provide suitable seating also. She had to crawl over the floor to get places at home as she didn’t have anything suitable to help her move around the home. In June 2018 we were able to purchase and send to Sarah a wheelchair that enabled her to attend school and was also able to provide the school with suitable seating that fitted Sarah’s needs. We have recently spoken with Sarah in October 2018 and have found that she is doing extremely well in school and even life at home has improved for herself and her family. She now wears a smile every day. 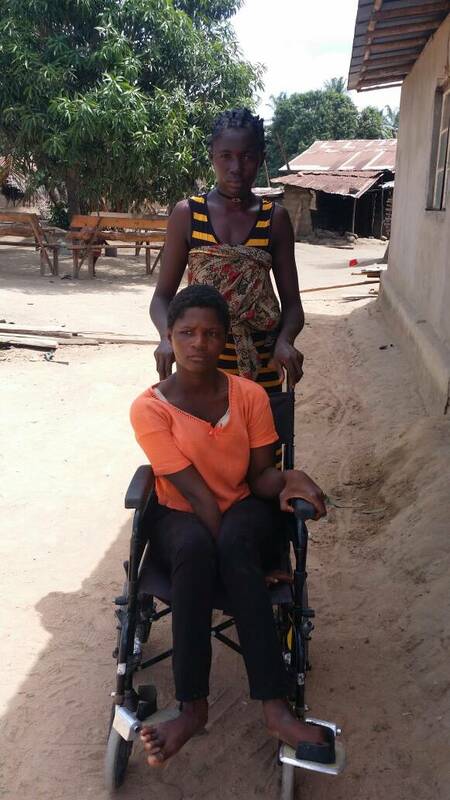 This is the old wheelchair that prevented her from attending school.